This is an interesting find, because this translation of the House Postil is different than the popular English version readily available as part of The Complete Sermons of Martin Luther (volumes 5-7) republished by Baker Books. The sermons contained in the House Postil were given by Luther to select guests and family members. Two specific individuals recorded these sermons: Georg Rorer and Veit Dietrich. The House Postil that is part of The Complete Sermons of Martin Luther uses Rorer's version as the basis for their translation. The two volumes by Matthias Loy linked above use Dietrich's version. These two older volumes of Dietrich's version don't have all the material contained in the later volumes based on Rorer's version. Ironically, I found these older volumes in 2010 and had forgotten about them. Veit Dietrich and Georg Roerer both made stenographic notes of these house postils, transcribing them later into finished form. Luther, at this time in his life, regularly spoke from an outline that had been carefully thought through ahead of time, in order to get hold of the Konzept, or chief point(s) he wanted to make, as he himself explained concerning his preaching. 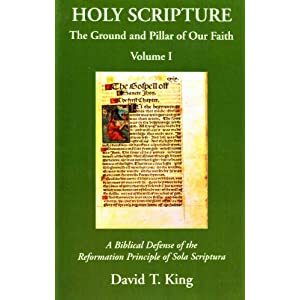 Thus, homiletically his style might be described as combining expository with topical, the chief point or conceptual thread coming really from God himself through the text of Scripture. Apparently, he was a deliberate speaker who spoke slowly and distinctly, a characteristic which would have allowed time for an expert note-taker to do his recording. Thus through these two faithful scribes, two versions of Luther's house postils have come down to us. In general, they may be said to complement each other, rather than being duplicates in carbon copy sort of manner; but efforts to collate them or to try to extract the "authentic version" out of them have usually foundered. The result is that they stand side by side, in tandem, as parallel versions..." [The Complete Sermons of Martin Luther vol. 5 (Grand Rapids, Baker Books, 2000) p. 14].